Happy middle of the week to you! So far, we’ve been hit with the flu and temperatures so low the snow crunches under your feet. If you don’t know what that sounds like, then you’ve never had those temperatures. 🙂 Maybe this little project will warm your heart. Get it? Warm?? For my Lowe’s project this month, Valentine’s Day is the theme. Seems appropriate enough, eh? What? You don’t think you can find a Valentine’s Day item at Lowe’s? Boom. Done. 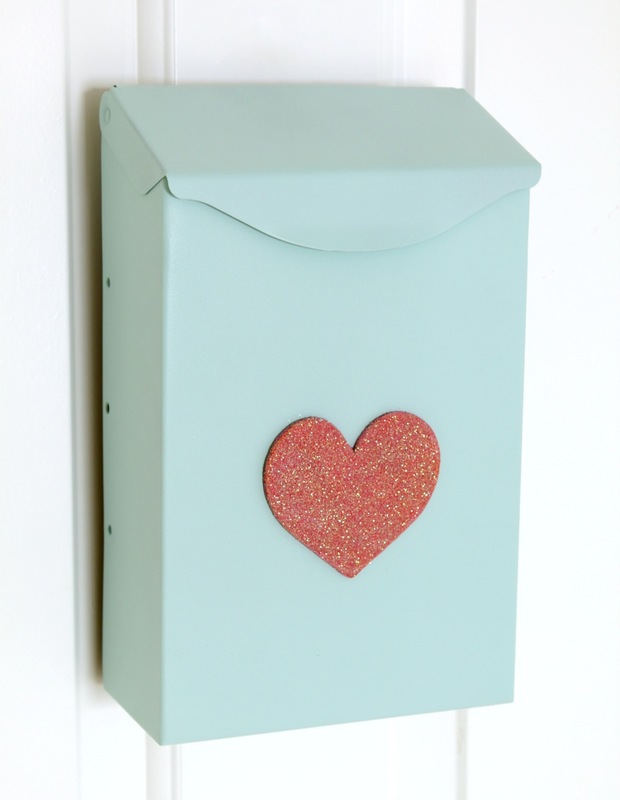 I made some mailboxes for my kids’ rooms when they were younger, so I’ve always loved the idea of “sending” mail to them. 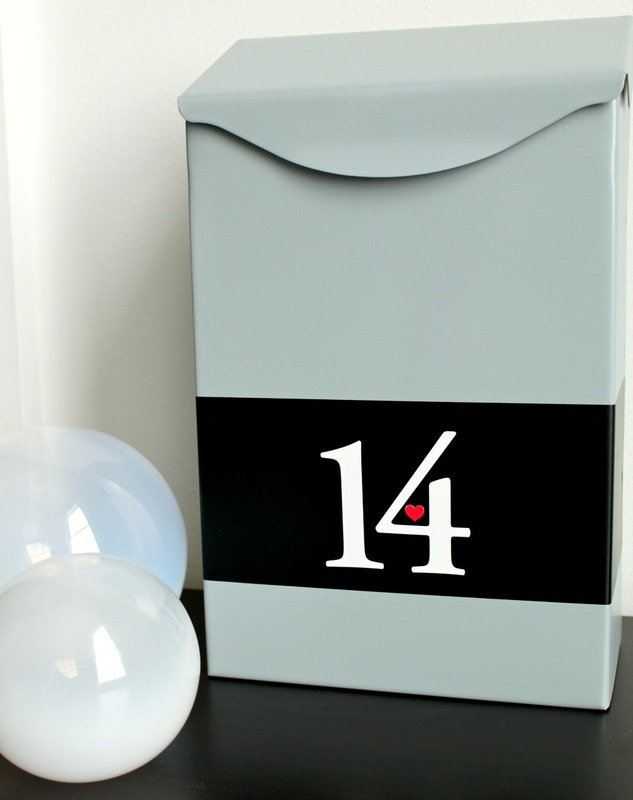 I thought it would be a cute idea to have some special mailboxes just for the holiday. These two little cuties will do just the job! While they were the perfect size, they definitely needed some Valentine’s love. The puns–they just keep comin’! The trickiest part of the whole project was making sure my 13-year old “mom-this-is-too-young-for-me” son would still appreciate the look and concept of the mailbox. Since I hung them on their bedroom doors, I decided to paint them to coordinate with their rooms. 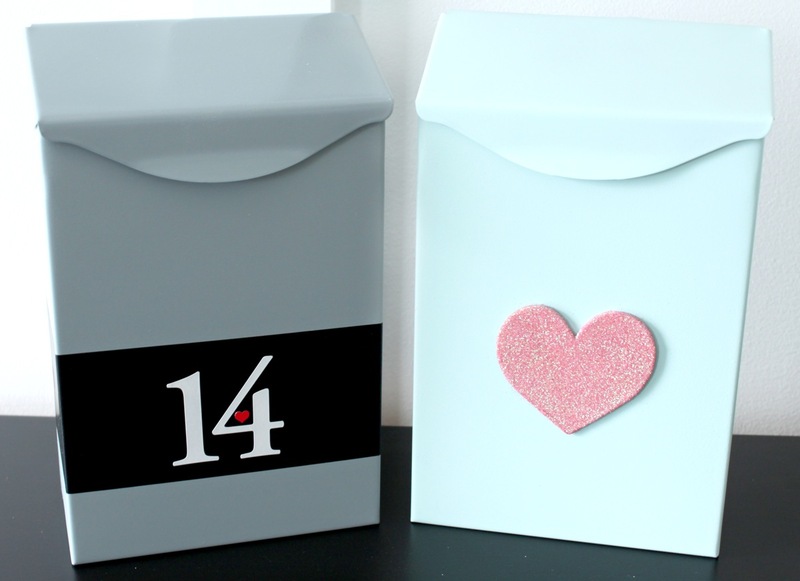 I went with the ambiguous “14” for Valentine’s Day, and I kept the heart really small. He liked it. Whew! And of course, Little Miss was easy to decorate for. Some blue and pink, and she was all set. I love the simplicity of both of them. Nothing too cutesy to align better with their ages, and they both really like them. 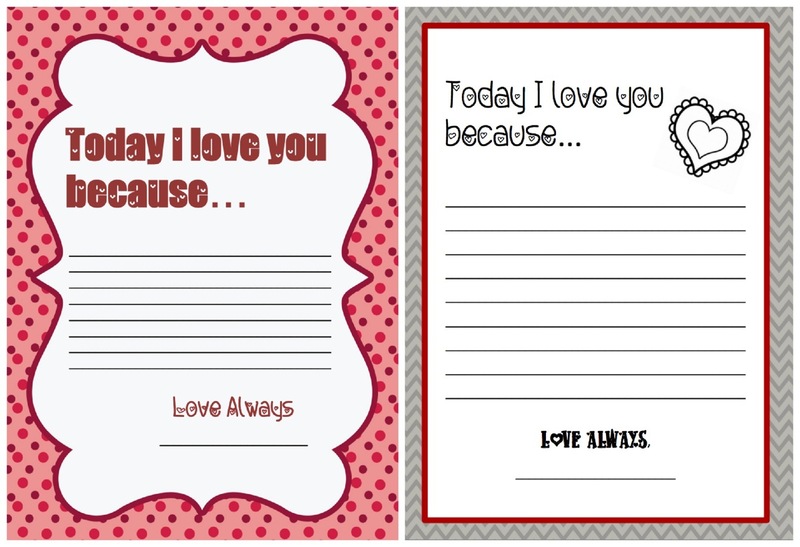 I created a couple of printables so that we could write notes to them leading up to Valentine’s day. If you think they’ll work for you, feel free to use them! Ca-ute! Really cute idea and I do love the simplicity of the decorations. Great work. Here is the funny part–or Dah part. 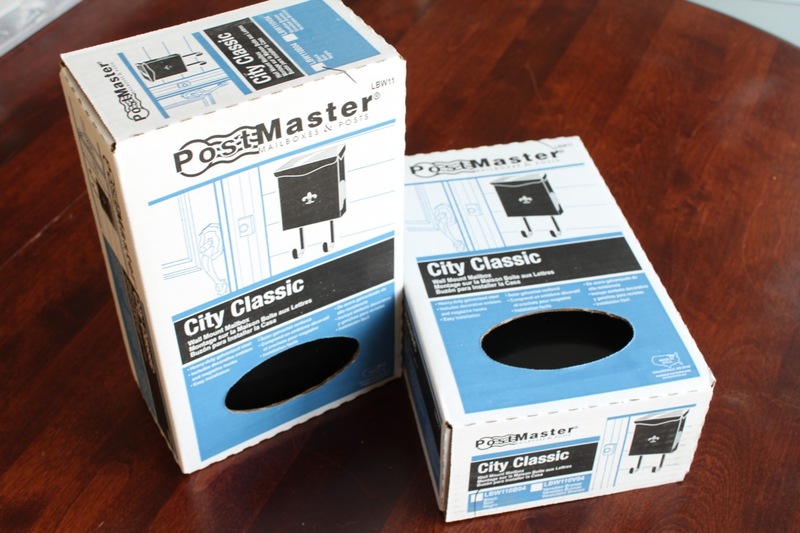 You showed the boxes first and I thought “well, did she buy these mailboxes just for the box to decorate?” It took me a while to clue in you actually used the MAILBOX itself! We all have those moments, don’t we, please say yes. I could say it is the numbing cold that froze my brain? Love the use of the MAILBOXES!!! I thought she was using boxes too Kristin! My kids got mailboxes made of decorated Kleenex boxes. Fancy! They can take them with when they move out and hang them on their houses! Thank you Gloria for the laugh! How often we use BOXES to make these so I only assumed! Glad to hear it wasn’t just me! I love this idea. Written communication is so important especially during the teen years. I remember being a teen and writing letters to my mother; sometimes it was the only way I could communicate with her about my feelings. These are adorable, Chris. Love the way you personalized yours to be both age- and gender-appropriate. Sometimes the Valentine’s decorations I see make me think that no one has teeanged boys around! 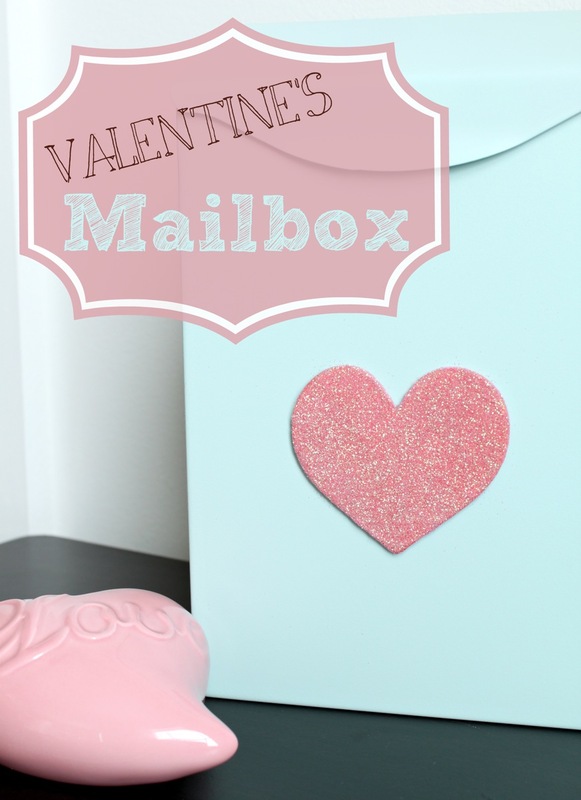 Thank you for the free printables, too–don’t need a fancy link when the product is that cute! Stay warm! January in Michigan is not for the faint of heart! These are AWESOME. I have two boys and I lovelovelove the look of the one for your son. I might even use those printables to tuck into their lunches. Thank you *so* much! Thank you, Carol!! You don’t see too many Valentine’s projects for older boys, so I had to get creative! How much were those may I ask? It’s a great idea, I love it!! Hi Deena, I’m pretty sure they were about $12.00 each? Not bad! Thank you! Just getting over the flu here too. so.exhausted. anywho, these are adorable. Ugh!! I feel for you. I know it’s really rampant. Feel better!! This is so sweet. I love how it turned out. Ok that comment was too nice. Thank you, Rachel!! They like them, so I guess it’s a good thing! These are adorable! Did you prime them first? I am assuming so, but never want to assume. 🙂 Also, how did you hang them on the doors? Yes, I did prime them first. 🙂 As for hanging them, I threaded a little pipe cleaner through the back holes and tied them (like a garbage tie) then I hung them from a 3M hook I keep on their doors for other things. Hope that makes sense! Thanks! What an incredibly cute idea, Chris! I wish I’d thought of this when my kids were young. I still have every note my daughter ever wrote me when she was growing up – I love to look through them every now and then.